This vintage Benchmade Crawford Leopard folding knife was purchased from a collector and comes in a classic Benchmade blue box with the original paperwork. 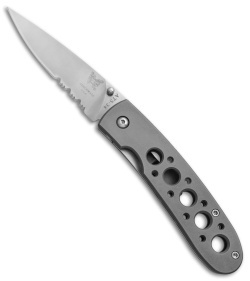 The knife is in mint condition and features the Benchmade USA stamp on the pocket clip and blade. The Benchmade Leopard is a lightweight liner-lock folding knife designed for comfortable everyday carry. 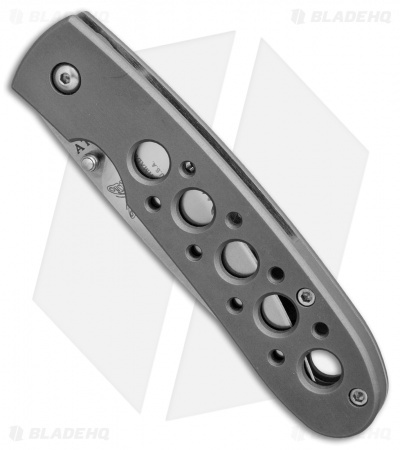 It's outfitted with an ATS-34 stainless steel blade in a satin finish and a partially serrated edge. The handle is made from sand blasted aluminum in a natural gray finish. 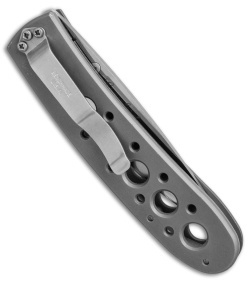 Item includes a tip-down pocket clip.